This monster is power hungry, no doubt about that. 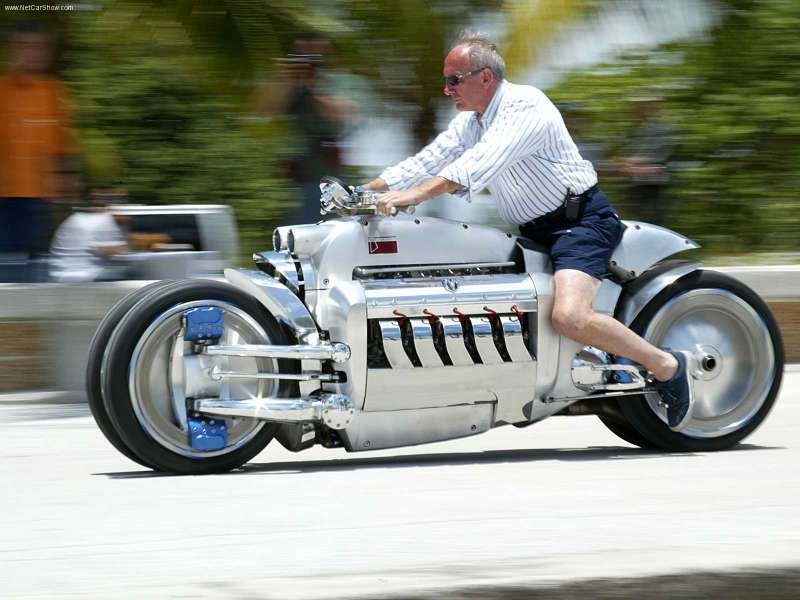 This abomination of the road features an 8.3 liter V10 (505 cubic inches) that is capable of bringing a top speed of 400 mph! 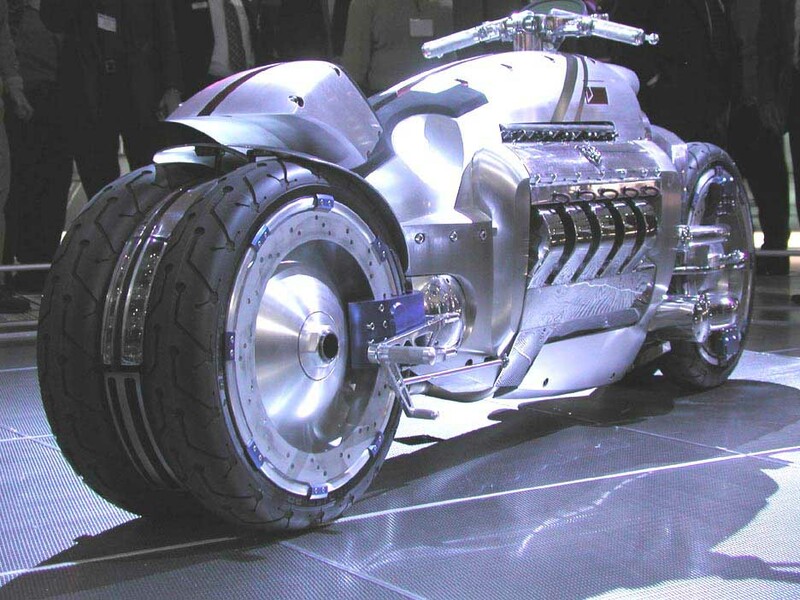 The bike weighs in at 1500 lbs, making it heavy enough to keep you intact at extreme speeds. The bike boasts independent 4 wheel suspension that will keep you safe on rougher terrain, and it’s shiny metallic cover which is accented by blue and red trim looks space like to say the least! Into high dollar bikes? Into high speed? Into super bikes? Well, than the Dodge Tomahawk just might be your baby, if you think you can handle it. The most expensive bike in production, the Dodge Tomahawk is the ultimate in motorcycle technology. This beast will cost you $250,000, and since production is limited to a few hundred models, you better place your order YESTERDAY if you even want to see one in real life! Are you obsessed with beating your friends off the starting line? Than I don’t think that you would have much to worry about on this bad-boy. 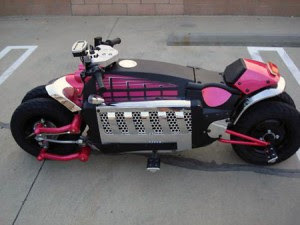 This bike can reach 60 mph in about 2.5 seconds, so if I were you, I would secure my helmet.